After a weekend of road closures, two major North Texas highways are set to reopen Monday morning. 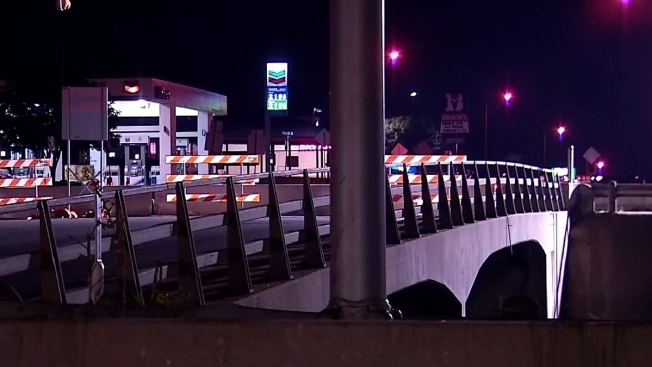 Construction crews closed both directions of Texas 183 Friday night and through the weekend. The eastbound lanes were closed at Industrial Boulevard and the westbound lanes were closed at Main Street. The highway was scheduled to reopen 6 a.m. Monday. It’s all a part of the Midtown Express Project, which will link the new lanes and TexPress Lanes currently on Loop 820 and Texas 183 to Interstate-35E in Dallas. In order to widen the freeway and add lanes, the Euless Main Street bridge has to be demolished and replaced. The bridge is already closed to traffic and, by Monday morning, it will be gone. It will take 18 months to build a new Euless Main Street bridge. The overall cost of the project is $847 million, but should improve mobility once the construction headaches are over. All northbound lanes of the DNT from the Spring Creek Parkway exit to the Headquarters Drive entrance ramp. The east- and westbound direct-connector ramps from the SRT to southbound DNT. The northbound DNT direct-connector ramp to east- and westbound SRT. The northbound entrance ramp from Spring Creek Parkway. The northbound exit ramps at Legacy and Headquarters Drive. NBC 5's Jamie Weiss and Kristen Weaver contributed to this report.